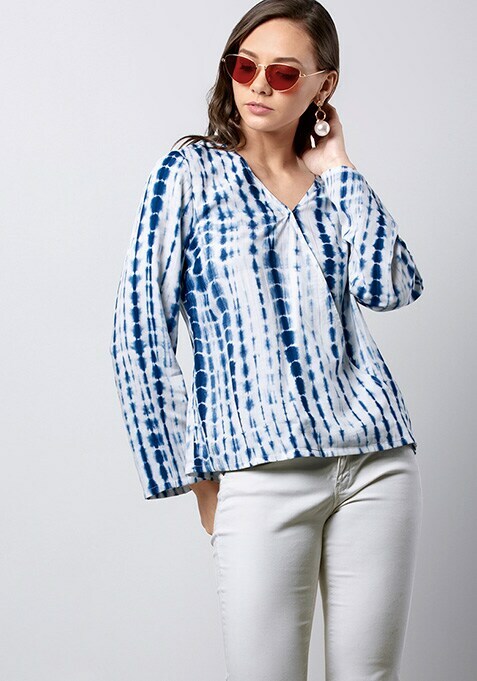 This tie dye top in beautiful blue is an essential for the new season. Featuring a wrap front and full sleeves, this top has a V-neck. Work It: Style this top with ripped shorts to get that fierce beach babe look.